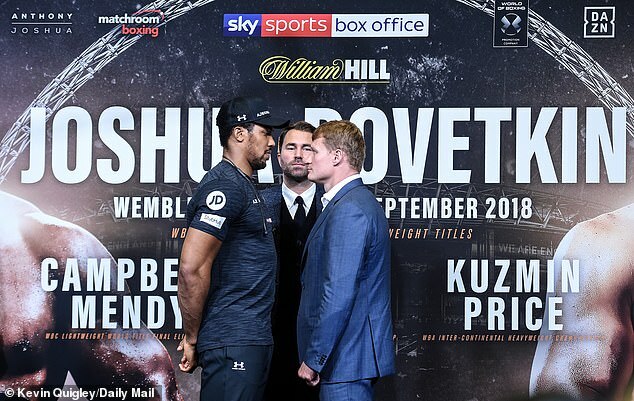 Alexander Povetkin peered up at the towering ramparts of Wembley Stadium and was asked what extra pressures such a huge stage will apply to the stress of his world heavyweight title fight against Anthony Joshua here this Saturday night. The challenger’s reply: ‘You know, we have a saying in Russia. It is this: ‘You feel the walls closing in.’ Not on him, he hastens to add: ‘Joshua will suffer that burden more than me… As the champion at home he has more responsibility to win on his shoulders. 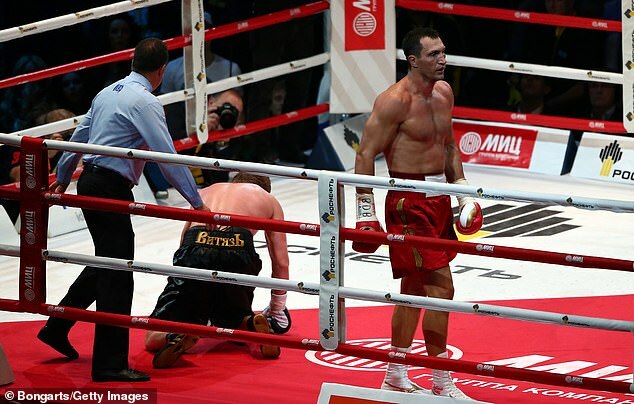 Povetkin remembers how Russia’s great expectations bore down on him the night he fought Wladimir Klitschko in Moscow and suffered the only defeat of his lengthy career. 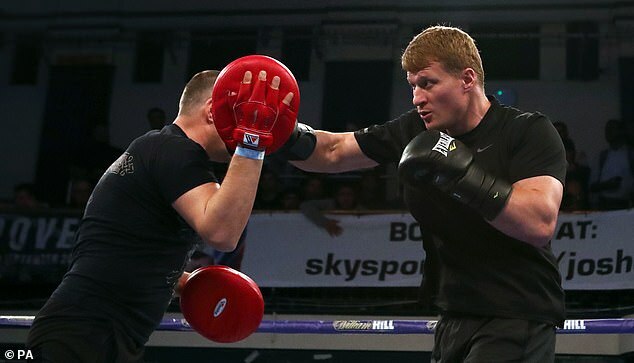 Povetkin has come down from the mountains in furthest Russia claiming that although this opportunity to be a world heavyweight champion a second time comes to him late, at 39, he is the fittest and strongest of his life. There is some logic to that argument in that he retired immediately after winning his Olympic gold medal in 2002 and was not overly serious when he returned to the ring. Those scraps took place in Kursk, where Russia defeated Hitler’s World War 11 Panzer divisions in the biggest tank battle in military history. So he cut back on the parachute jumping ‘for my different buzz to fighting’ and ‘gave away my powerful motor bike because the speed I like was too dangerous.’ And he resumed knocking out professional heavyweights, the way he had the amateurs, en route to his WBA title for which he is now Joshua’s mandatory contender. 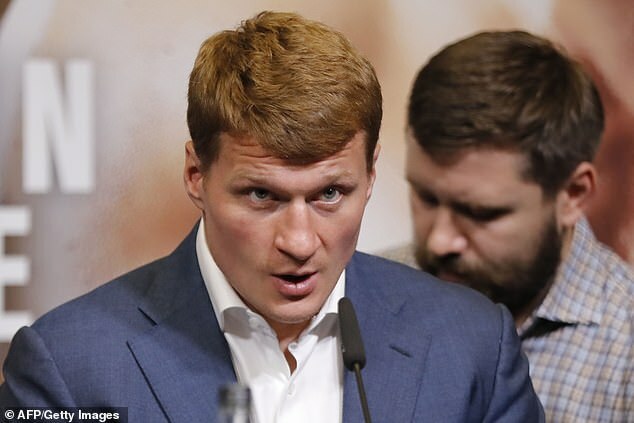 Povetkin has climbed back to high-ranking status among the world’s heavyweights after a brief suspension for two failed drugs tests. Those lapses have re-opened the debate about substance abuse in sport, especially Russian sport, as he returns to championship action. He wafts away the shadow of Britain’s political stand off with Russia following the Salisbury poisonings just as readily, saying: ‘I have always believed that sport should be kept apart from politics. And I don’t expect special hostility from the big crowd at Wembley because of that problem or the drugs. 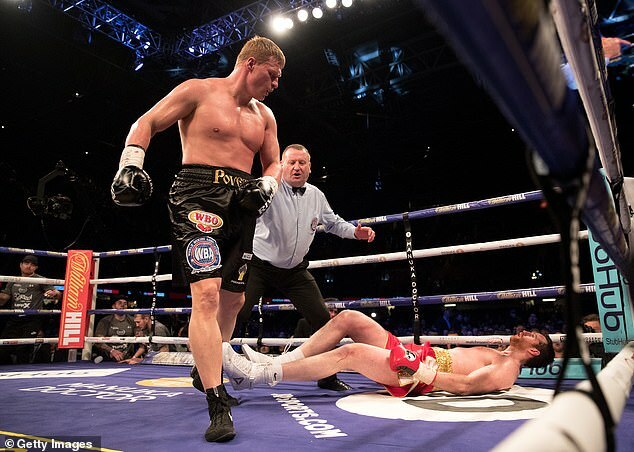 Povetkin is squat and powerful but looks leaner on this visit to Britain and says: ‘I have trained to be lighter and faster against Joshua.’ He has done so even though, at barely six feet, he knows the honed shape makes Britain’s WBA, IBF, WBO and IBO champion look even bigger than him by comparison.